Speak to me of love. 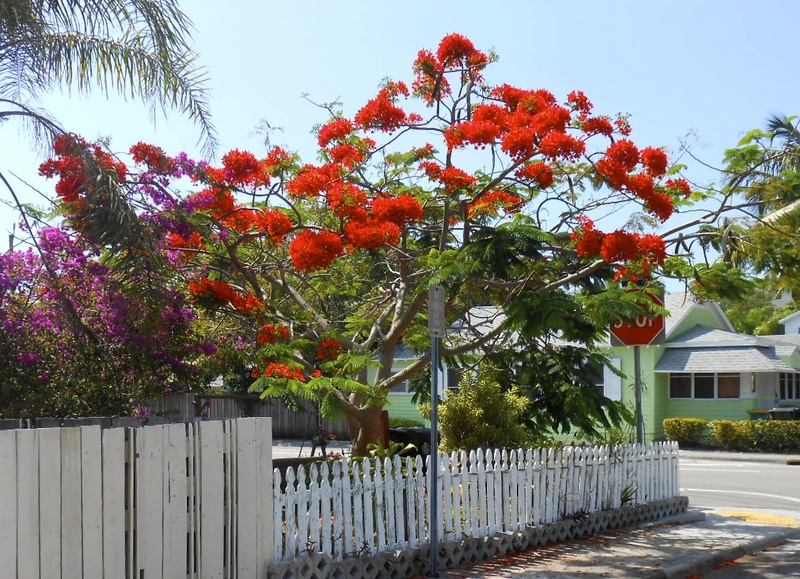 This Magnificent tree is now in full bloom. 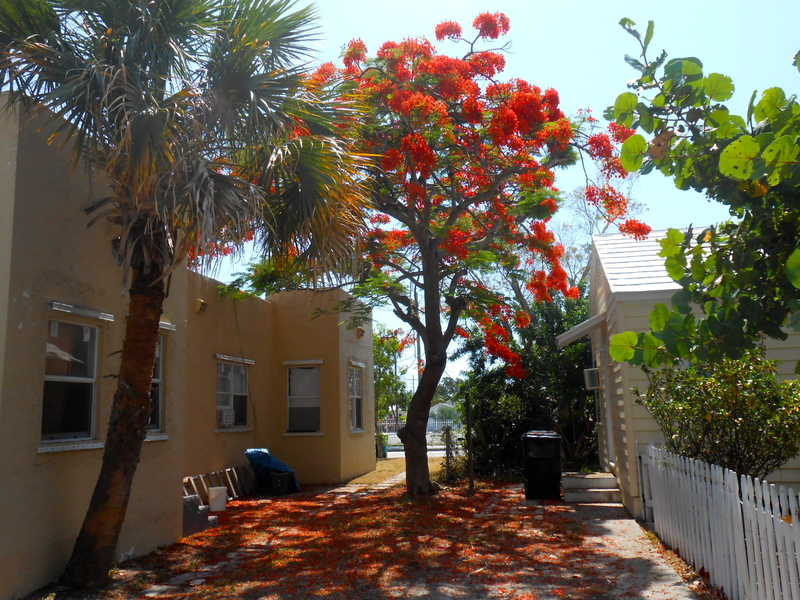 Absolutely spectacular dotting the streets of Lake Worth. So beautiful that a song has romantacised it. 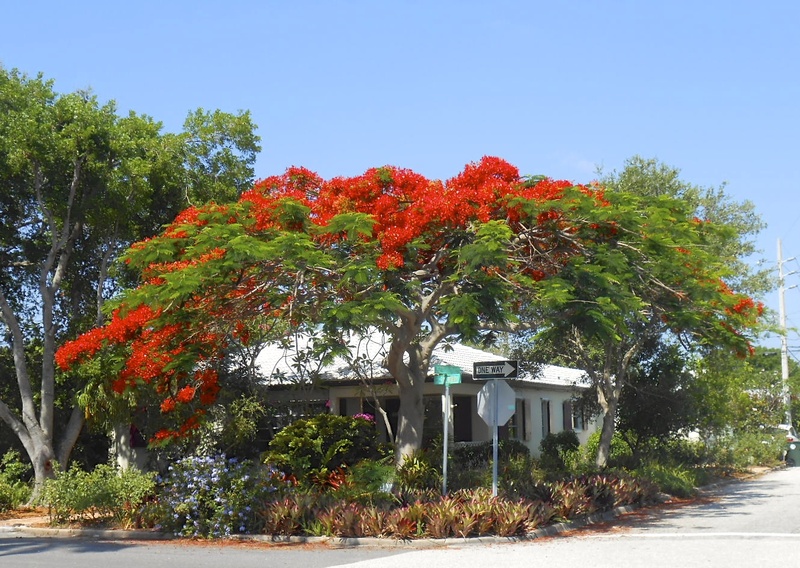 Date of full bloom is guessed at, to make plans for the Royal Poinciana Festival at the Kampong “National Tropical Botanical Garden” located on Biscayne Bay in Coconut Grove, Florida. 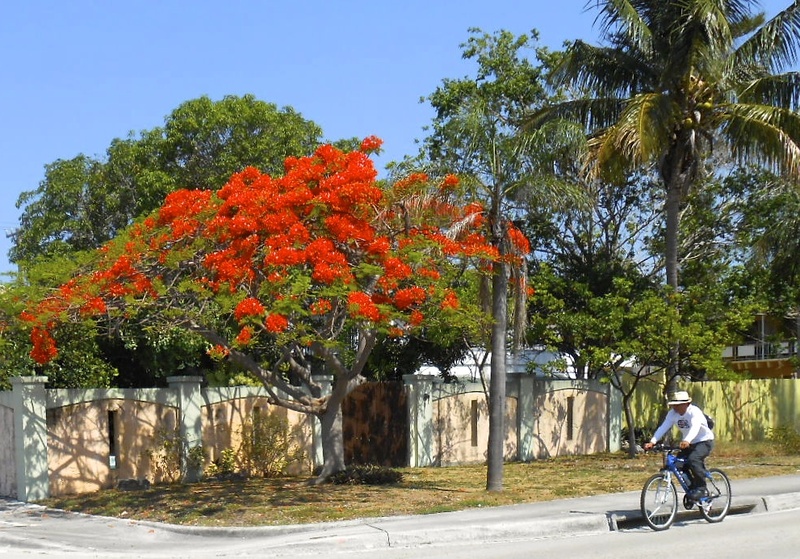 Trolly tours take you into Coral Gables, Coconut Grove. Artist strive to render it. 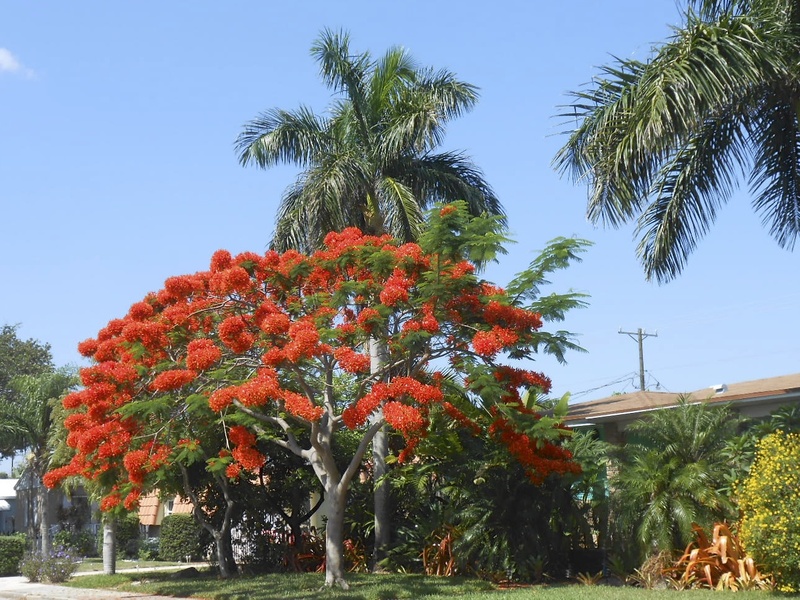 The oldest known Ponciana in Lake Worth is located in Royal Poinciana neighborhood. 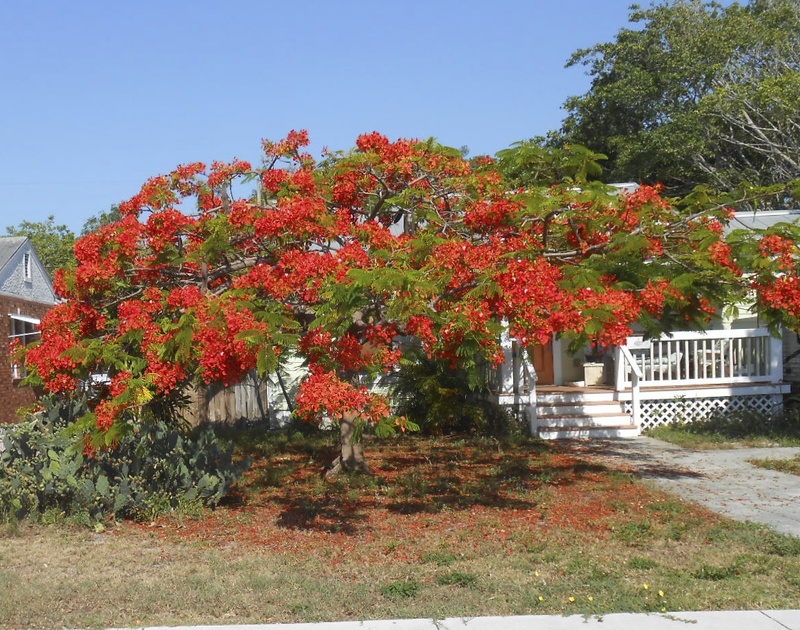 We should really have a Poinciana Festival here in Lake Worth. They come from Madagascar and were brought here by David Fairchild. Fairchild Tropical Gardens also located in Coconut Grove on Key Biscayne . So beautiful, yet so messy. Still love them.